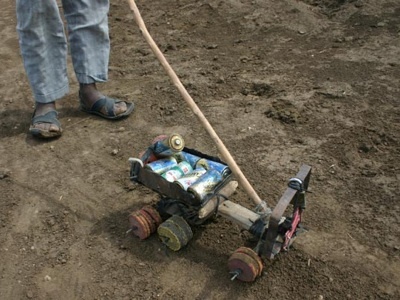 Throughout the world kids have always made their own toys. Toy trucks are popular. These you push with a stick to make them go over rough roads. Being a truck driver is what a lot of kids would like to grow up to do. Note the cool cargo. 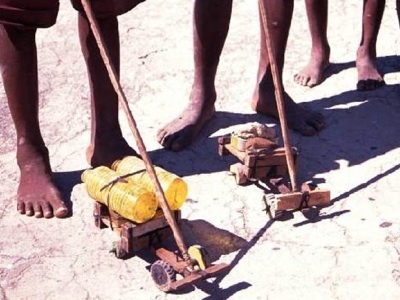 This picture of boys in Mozambique came from Travel Images. This one is from Southing, a blog of two Danish travelers, Helle Gammelgaard and Mario Travaini. I can’t believe that children that young can make some random trash into such cool things. that take some true talent.